These are so cute. I would like to get one of these (if I had a bike!). 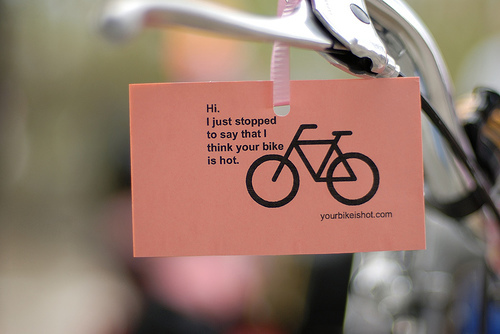 I think I might get some... One in every ten bikes in London looks quality and it's nice to pay compliments!